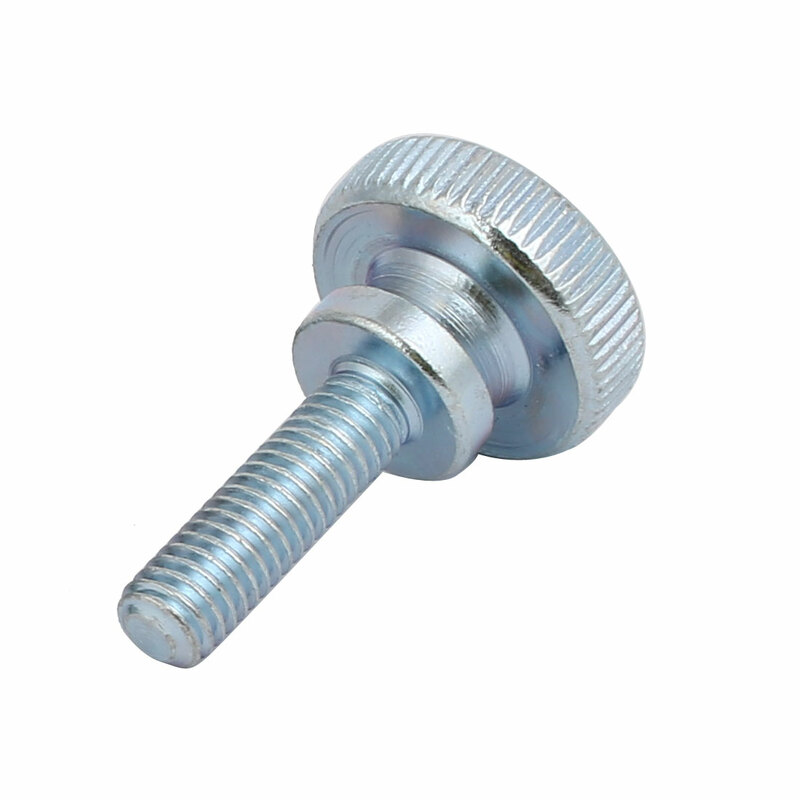 Round thumb screw with flat knurled head style. Knurled head provides extra grip for manual tightening. ?Usually found on thumb screws, a knurled surface on the head gives a better gripping surface, making it easier to tighten or loosen fasteners manually.? Knurled Thumb Screws are installed with your fingers and are used to hold light covers in place and other ornamental products.